An excellent opportunity to purchase a substantial family home at an attractive price. The property offers spacious accommodation over two levels comprising entrance hallway, lounge/dining room, spacious breakfasting kitchen with appliances, family bathroom with three piece suit & three bedrooms. Warmed by gas central heating the property also benefits from being double glazed and has easily maintained garden with driveway to front. The asking price reflects an element of upgrading is required and could appeal to investor or buy-to-let purchaser. 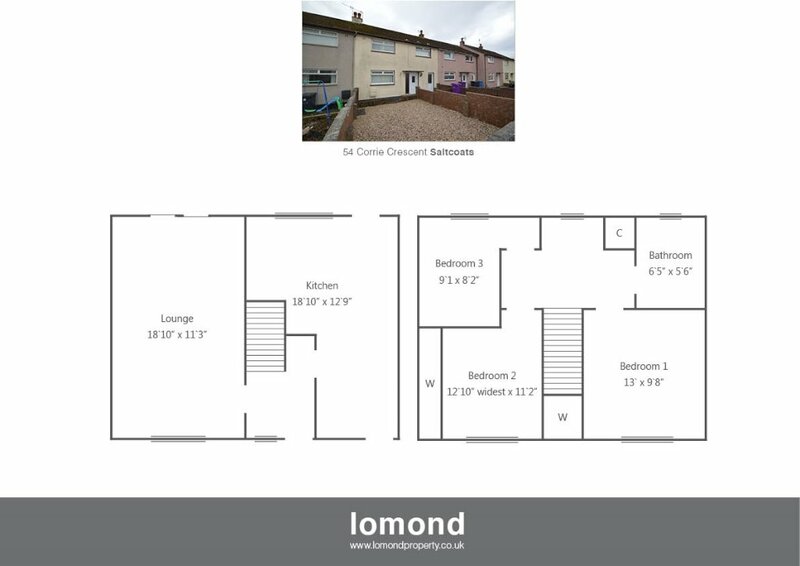 Ideally located within a residential area of similar properties and convenient for easy access to town and the A78 bypass.